DAVID LE/Staff photo. 3/31/15. 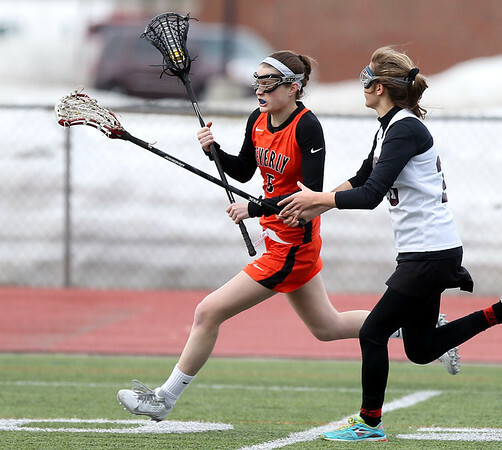 Beverly's Grace Otterbein advances the ball up the field against Newburyport.